Split or central air conditioning units are made of two primary parts. These are the indoor and outdoor units. The indoor unit is known as an evaporator and the outdoor unit is referred to as the condenser. It contains a compressor, a blower fan, and a condenser coil. The condenser and evaporator are connected by pipes that run through your walls. 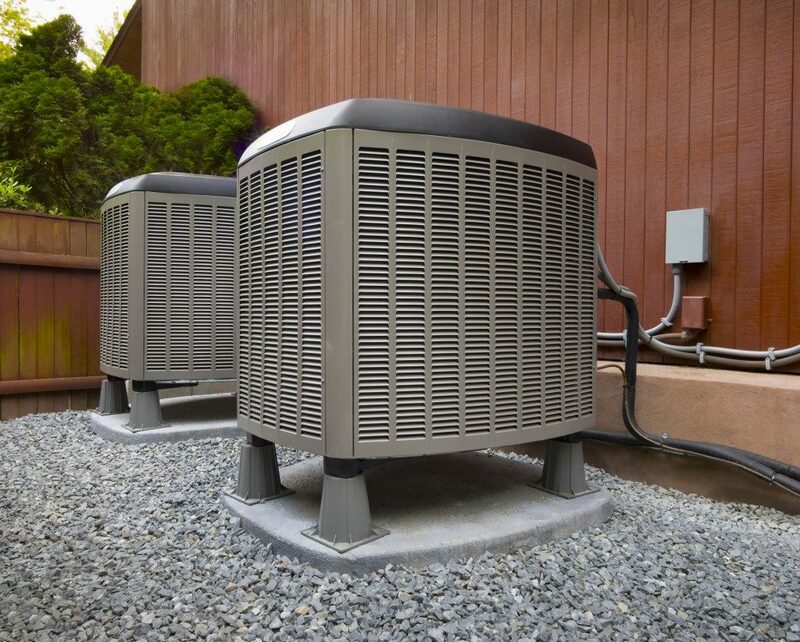 The condenser is the commonly affected part of your HVAC unit because of its location. Since your condenser is installed outside the property, it is at high risk of infiltration of debris such as gravel, stones, sticks, and leaves. The debris accumulates inside your condenser and with time, will damage the fan belt and motors and impair the condenser’s operation. The debris will also restrict the flow of air into the condenser and make it impossible to get the required amount of air over your coils. To minimize the risk of this cause of condenser damage, it is recommended that you keep the area around the condenser clear. A refrigerant flows through the line that connects your evaporator and condenser for heat exchange. If this line develops a leak, the heat exchange is compromised and so is your entire unit’s operation. Refrigerant leaks usually occur at the connection to the compressor or along the condenser coils. The leak is evidenced by a hissing sound from your condenser or the development of frost along your system’s pipes. Your repair expert will first conduct several tests to determine the precise location of the refrigerant leak before fixing it with a sealant. The motor in your condenser, which operates the compressor and blower fan, is powered by electricity. Malfunctions with the wiring of the motors, capacitors, or electrical relay will cause a failure of the compressor and blower fan, and a lowered or absent cooling process. Neglect of these issues in most cases will also affect your property’s electrical supply. When dust blows into your condenser, it settles and accumulates on the coils. With continuous accumulation, the condenser coils are fully covered. This makes it difficult for them to transfer heat from your interiors to the outside. That said, you will only have warm air circulating in your interiors. While some issues might be unavoidable, most of the above causes of condenser failure can be averted by an annual professional tune-up of your system. 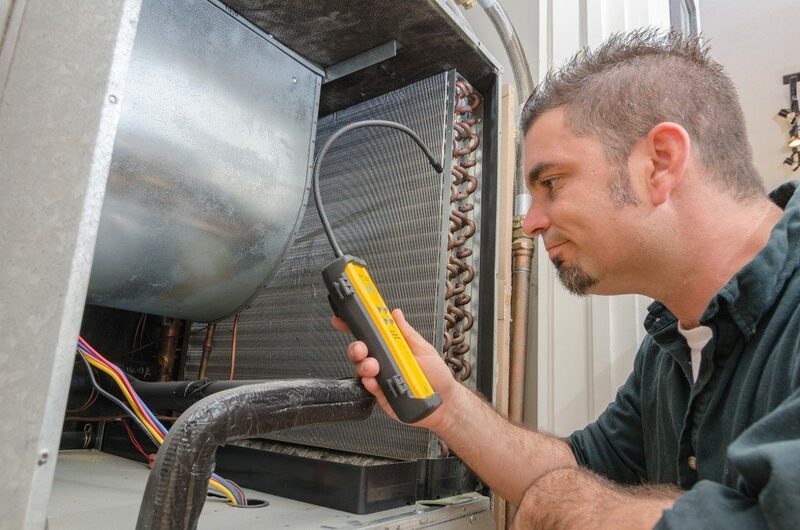 The tune-up service includes a thorough visual inspection and thorough cleaning of the interior parts of your unit, as well as an evaluation of the refrigerant levels. Most people would put off a condenser repair in the erroneous belief that it is costly and can wait until they have the cash for it. Without prompt intervention, a condenser’s malfunction could cause a complete failure of your compressor whose replacement is relatively expensive.